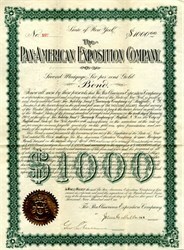 Beautiful uncancelled $1000 Bond Certificate from the Pan-American Exposition Company dated in 1901. This historic document was printed by the Niagara Litho Company and has an ornate border around it with a gold embossed corporate seal. This item is hand signed by the company’s president, John Milburn and its treasurer, and is over 112 years old. 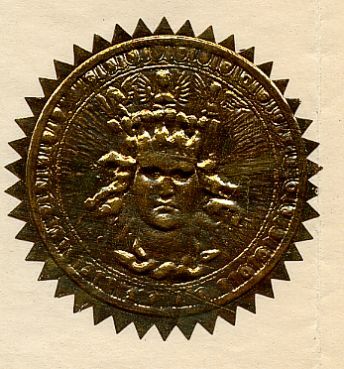 The Pan-American Exposition was held in Buffalo, NY from May 1 to November 2, 1901 on a 342 acre site between Delaware Park Lake on the south, the New York Central railroad tracks on the north, Delaware Avenue on the east, and Elmwood Avenue on the west. The fair featured the latest technologies, including electricity, and attracted nearly 8 million people. A midway provided rides and other entertainment; athletic events took place at a specially constructed stadium.The African, Eskimo and Mexican Villages were among the attractions. Some states as well as South and Central American countries had their own buildings. The Electric Tower was illuminated nightly by thousands of colored bulbs and floodlights. On September 6th, President William McKinley held a public reception in the Temple of Music of the exposition. Hundreds of people were in line to shake his hand. An anarchist, Leon Czolgosz, approached among the guests, his right hand concealed in a bandage. It held a revolver. As he reached the president he fired. It was a senseless act and had no specific connection with McKinley's policies. 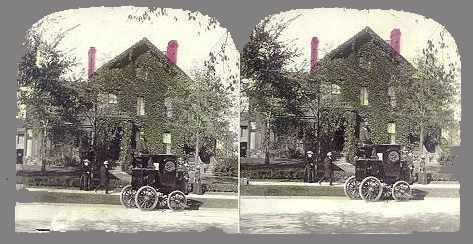 McKinley was taken to the home of John Milburn, President of the Exposition, where he died eight days later, on September 14. His last words were "Good-bye--Good-bye, all. It is God's way. His will, not ours be done." He was buried in Canton, Ohio.